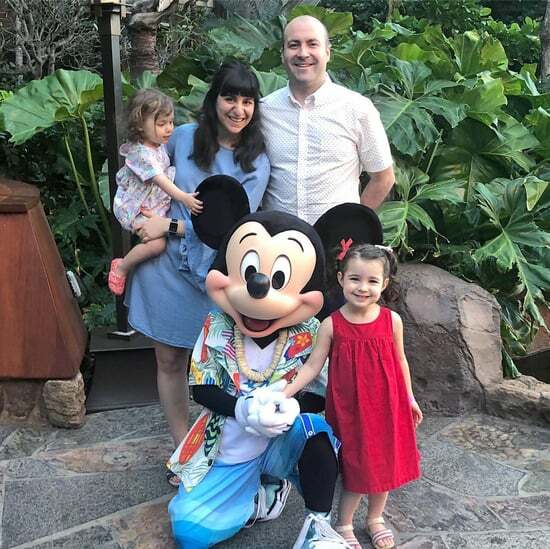 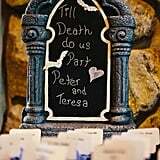 Teresa and Peter have shared a love for all things Disney ever since they met. 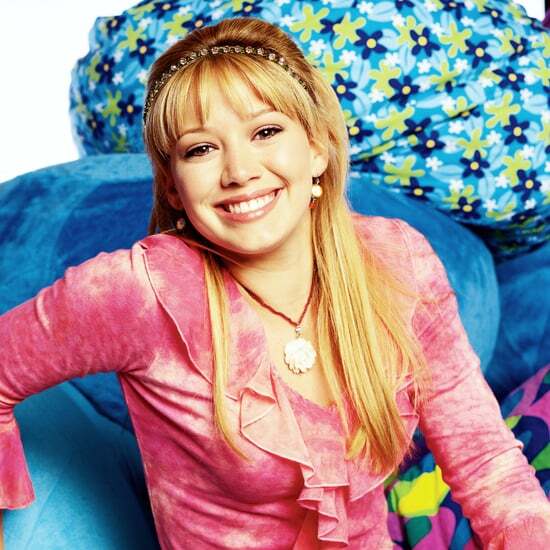 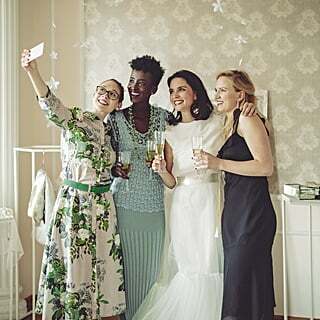 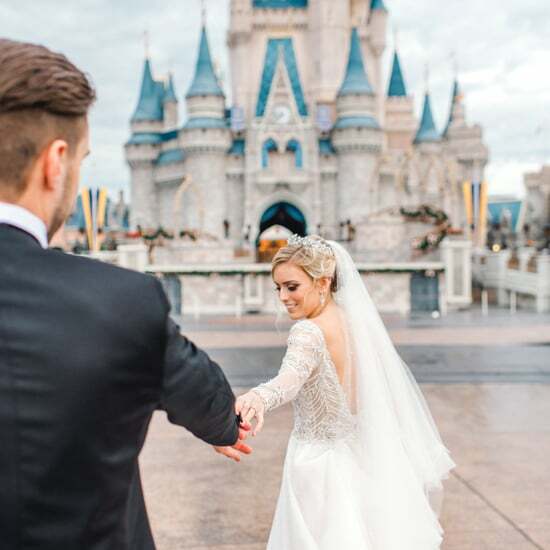 But they didn't want their families to have to travel across the country from New York for their wedding, so they did the next best thing and brought Disney to them. 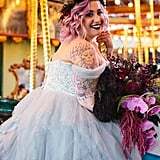 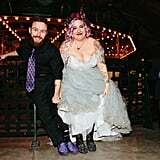 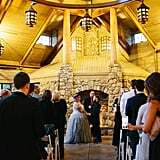 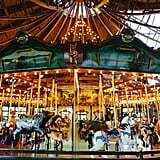 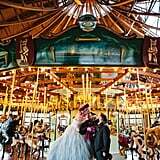 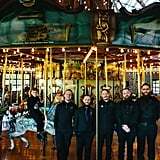 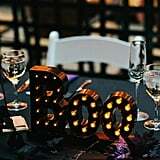 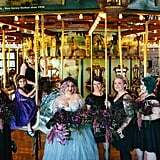 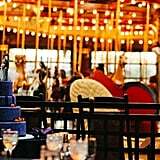 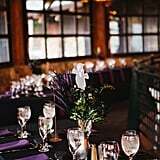 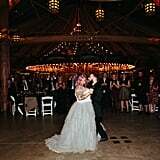 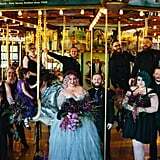 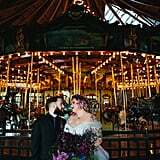 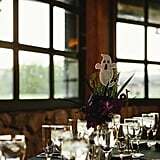 The Bear Mountain Carousel at Bear Mountain State Park was the perfect location for their Haunted Mansion-inspired reception. 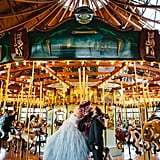 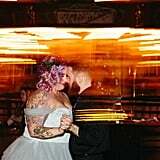 Peter wore shoes based on the Disneyland attraction, and the movie's soundtrack played throughout their wedding day. 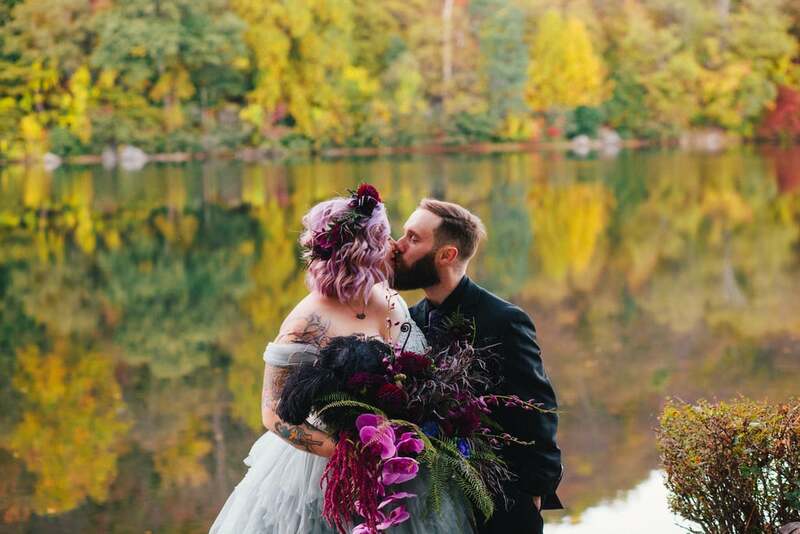 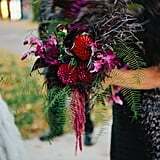 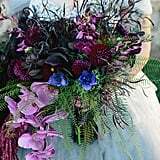 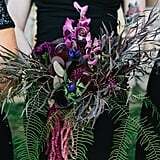 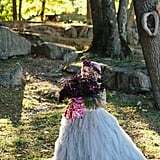 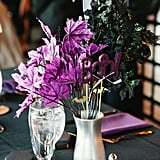 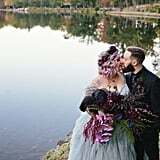 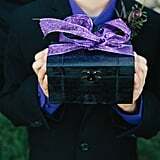 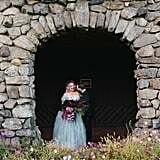 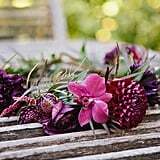 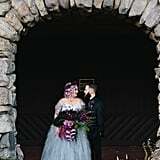 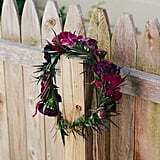 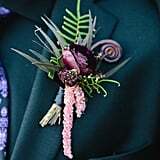 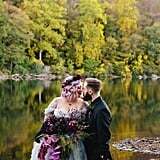 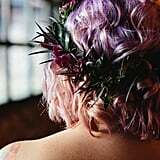 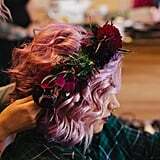 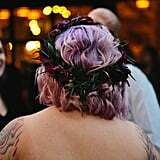 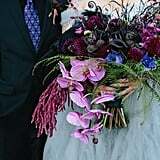 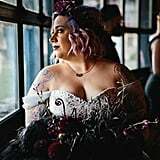 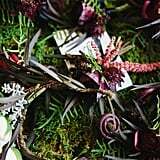 The bride wore a stunning custom-made dress that complemented the dramatic and dark florals. 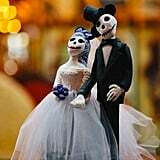 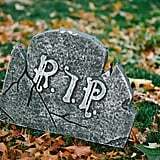 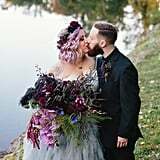 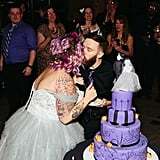 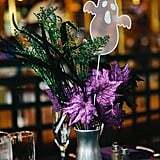 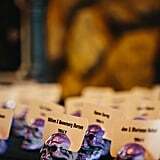 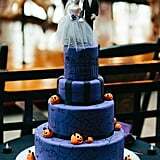 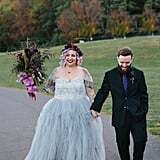 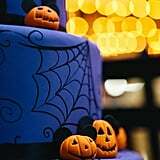 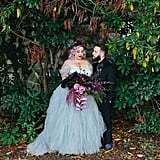 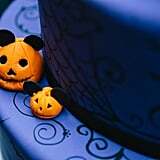 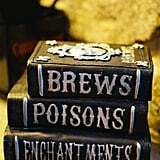 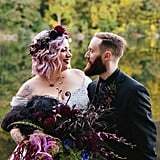 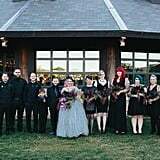 Their fun wedding cake was adorned with skull pumpkins with mouse ears, while the toppers were their own skeleton renditions! 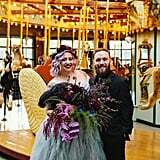 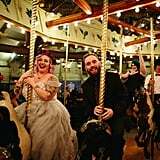 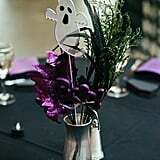 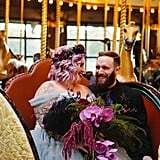 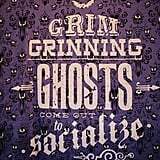 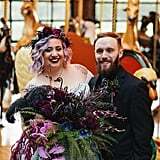 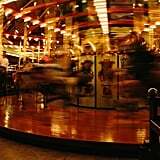 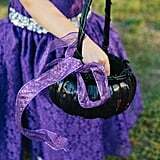 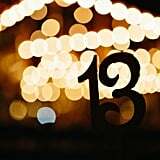 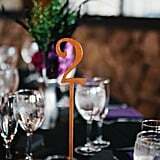 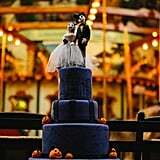 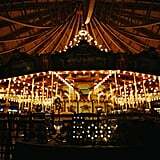 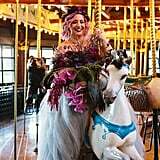 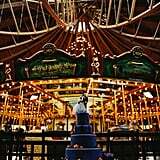 One of the many highlights from the couple's Halloween wedding was definitely the merry-go-round that guests were able to ride all night.